Turn a favorite image into a stunning gift or addition to your own space with a gallery-quality framed art print. 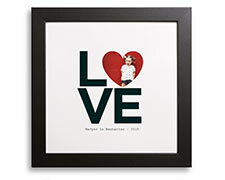 Printed on premium, acid-free matte or Pearl Shimmer cardstock with a stylish glass-free frame. 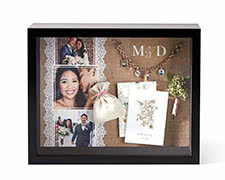 Custom shadow boxes offer the perfect way to highlight your favorite photos and memorabilia. Decorate your home with mounted wall art. 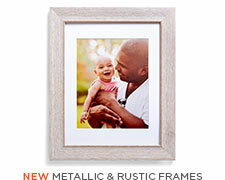 Its frameless design gives photos a modern look. Gallery-style framed prints just got so much easier to display. Create your own custom look from a variety of frame and mat options. 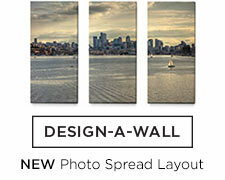 Give favorite photos a finished look with our mounted wall art, now available with frames. 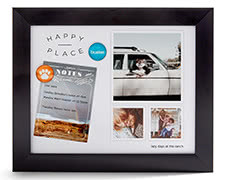 Display your favorite photos and notes on a framed magnetic board. Perfect for the kitchen, office or as a unique gift. A gorgeous way to show off those special photos. 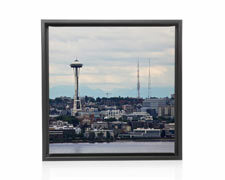 Our gallery style canvas print looks great with a traditional frame in a variety of colors. Turn your home into an art gallery. 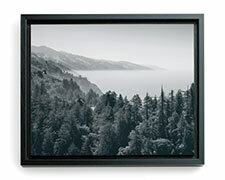 This exclusive professional-quality print dramatically showcases your favorite photos. 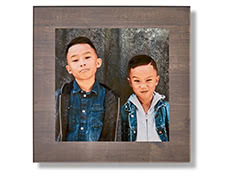 Turn a single photo into a striking display. It's easy to create this look with our Photo Spread layout. Easy to create. 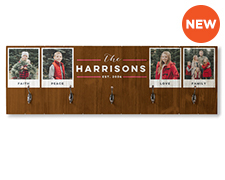 Select from six sizes, and choose from a variety of occasions, backgrounds and layouts. Go natural. 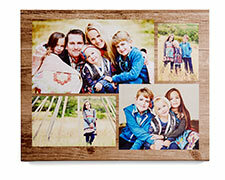 Available in a range of sizes, wood wall art is a stunning way to showcase your favorite photos. Wood grain shows through for a rustic touch. There are many ways to make a house a warm and inviting home, including customizing your own wall art. 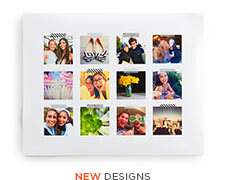 With Shutterfly, we offer hundreds of options to bring beauty, elegance and modernity to your bare walls. Whether you want to be reminded of those closest to you with memorable photos, commemorate a scenic vacation scene or display your favorite city snapshot, personalized wall art will spruce up any home. No matter what type of wall art you’re looking for, look no further. We have everything from metal to canvas prints, from wood wall art to framed art prints and more. All you need to do is choose which size and style fits your preferences. Then, upload your chosen photos – it’s that easy. Create a unique monogram with sentiments close to your heart, a frameless design that showcases your modern tastes or even proudly display your artwork with a rustic effect easily achieved with our transparent wood art. If you would rather use popular stock photos, simply choose from our newly featured Art Library. 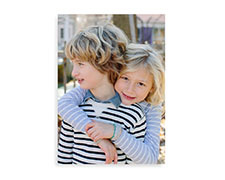 Search through free online prints and even personalize them to your liking. With free images of everything from Zen gardens to sleepy moons, iconic landmarks and more, there’s plenty for every personality and preference. Choose from different colored effects and options, from black and white to ultra-saturated looks. Wall art doesn’t have to just sit on your wall looking pretty. It can send a creative message that will light up any room. 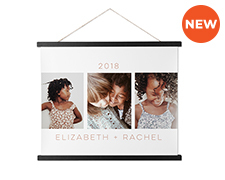 With Shutterfly, we help you through the difficult part of decorating. For example, arrangements are an important stylistic feature that are surprisingly easy to design and, with our wall art, just as easy to hang. There’s only three simple steps you’ll need to complete to achieve wall art perfection. Read Shutterfly's guides on how to make a gallery wall or accent wall. Other creative inspirations include mini wall art, which is perfect for confined spaces such as narrow hallway walls and above desks. If you’re looking for something more DIY, head on over to our Design Studio, where we walk you through styling ideas, trends, DIY tips more. With advice from interior designers, DIY-ers and fashion insiders, our studio is bound to have something that catches your eye. 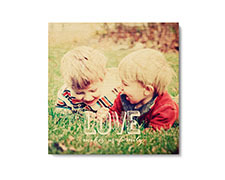 Personalized framed prints from Shutterfly are designed with you in mind. Accompany your wall art with prints that will stand out, such as collages, pet frames, monograms, holiday patterns and more. Not only will your walls fill their creative quota, but so will your counters, tabletops and nightstands. Customize to perfection and leave the rest to us.